Caramoor’s Food + Drink program offers a variety of delicious, organic, and locally-sourced snacks and beverages provided by Great Performances. Stop by the Katchkie Food Truck for the mouth-watering Caramoor Burger and Treble Dog. At the Tap Tent you'll find a wide range of snacks plus water, soda, local wine and beer, and coffee and tea. Still not enough? Perhaps a little Ben & Jerry's ice cream will satisfy your cravings. 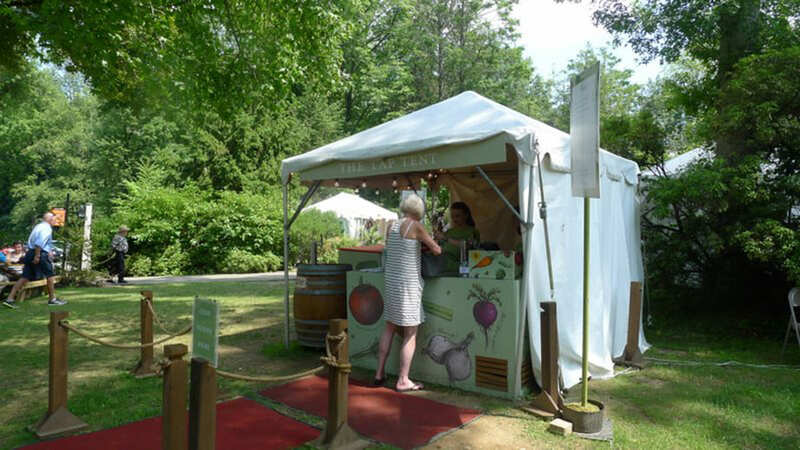 Our original Katchkie Truck offers visitors seasonal snacks while they stroll the gardens or enjoy a performance. 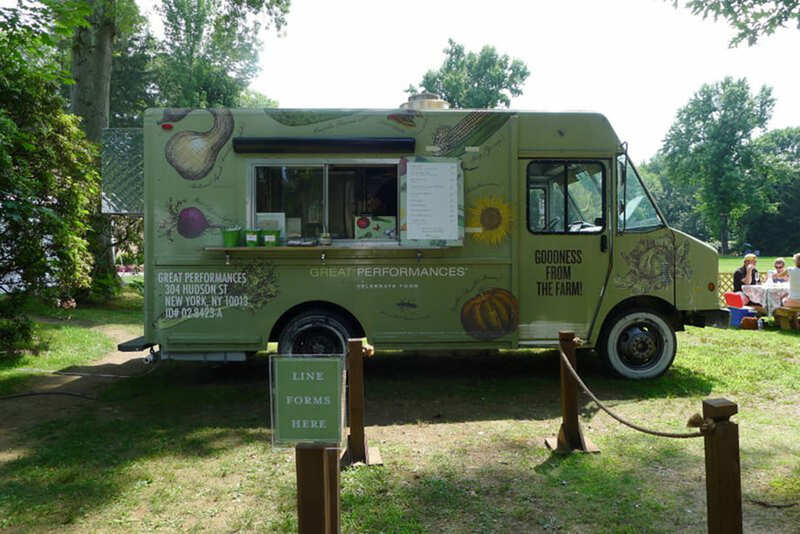 The truck’s menu is thoughtfully crafted with seasonality and wellness in mind, inspired by the organic produce at Katchkie Farm, Great Performances' own 60-acre organic farm in Columbia County, New York. Follow the truck on Twitter at @KatchkieTruck. We'll pack a picnic for you! For hearty options, no lines and the ease of ordering in advance, choose from our newly revamped picnic boxes. To reserve, you may order online or call the box office at 914.232.1252. Enjoy a relaxed dining experience seated under a tented pavilion adjacent to the Italian Pavilion. Each buffet menu includes unlimited wine, beer, and sodas, or you are welcome to bring your own. Choose to dine at a private table or communally with other concert-goers. Menus vary for each date. To reserve, you may order online or call the box office at 914.232.1252. Open during summer season only (June - July). See Caramoor’s program calendar for performance dates.